Dealing with a breakup is a monster in itself. At times, you might be bogged down by the feeling of unworthiness. You may even feel like you have a constant pit in your stomach every time you think of your significant other. As we all know, time heals all wounds and what better way to spend your time than to read some fantastic literature about breakups? We’ve found the top 5 books that you should stick your nose into when you’re dealing with losing a relationship. Some of them may help you to laugh, others may help you to analyze all of the things that went wrong. All of the titles will surely be relatable and help you with overcoming the pain of a breakup. When you’re reeling after falling out with your significant other, the most important thing to remember is that you’re stronger than you know. 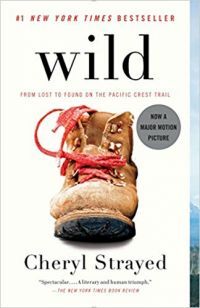 “Wild: From Lost to Found on the Pacific Crest Trail” by Cheryl Strayed is the perfect reminder. Not only is the book on Oprah’s Book Club 2.0, but it’s one of the best reads that we’ve had. It’s ideal for someone who is looking for unfound strength to help remember the person that they are or have always wanted to be. We’ve all felt lost at one point or another, but taking ownership of your own life and paving your own destiny can be quite uplifting. We found that this book was the perfect reminder to head out and discover things around you. Mostly because you don’t need a partner to make you feel complete. 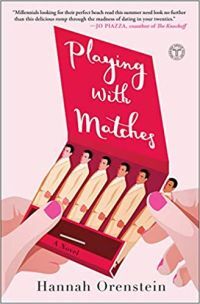 “Playing with Matches” is our number 2 pick because it’s one of the most relatable titles on this list. On the outside, every relationship might seem perfect. Filled with love, dedication, and devotion, you might even have people telling you that they wished they had a relationship like yours. While on the inside, you and your significant other might be toxic for each other and simply festering until it’s time to break up. What we can promise you is that after you’ve finished this great novel by Hannah Orenstein, you’ll understand the truth. You’ll be able to understand that you might have been in your relationship simply because it was comfortable. It’s time to get out into the world and start playing the field, no matter how scary it might seem. You never know when you’ll find the person that you’re actually meant to be with, rather than the person that only appears to be right. 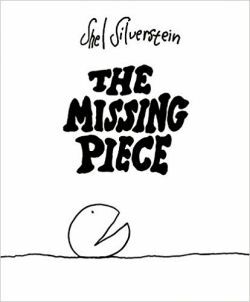 As arguably one of the most influential authors to have ever existed, “The Missing Piece” is another heartfelt book by the notable Shel Silverstein. Usually known for children’s books, this novel is a great way to show you the truth of what it means to be human. Relationships come and go and as we lose those close to us, we gain a new part of ourselves that build a stronger self. This is one of the best books to read if you’re feeling hopeless after a breakup. Above all else, “The Missing Piece” shows you how important it is to love yourself before you try to love someone else. It’s always better if you figure out who you are as a person before adding someone else to your life. You need to have your own experiences, develop your own favorites, and build your own life. There’s no longer a need for you to live your life trying to make someone else happy before you work on your own happiness. There are some people who believe that poems aren’t the best option for dealing with a breakup. With that being said, “salt.” is one of the best reads we’ve had in a while. 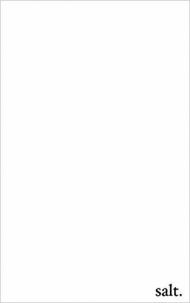 Crafted by Nayyirah Waheed, it’s a collection of short poems that capture everything that you could be feeling after a tumultuous breakup. The best part is that most of the poems are a couple of lines long but are still so moving and raw. If you’re in the stage of your breakup where you’re trying to understand your feelings, this is a great option. With the perfect words to capture your healing, pain, loss of love, and identity, you’ll learn more about yourself after the first couple of pages. Adults aren’t the only people who suffer from breakups. In fact, teenagers might handle them differently than older generations. This is because they have yet to establish a stronger self-identity. 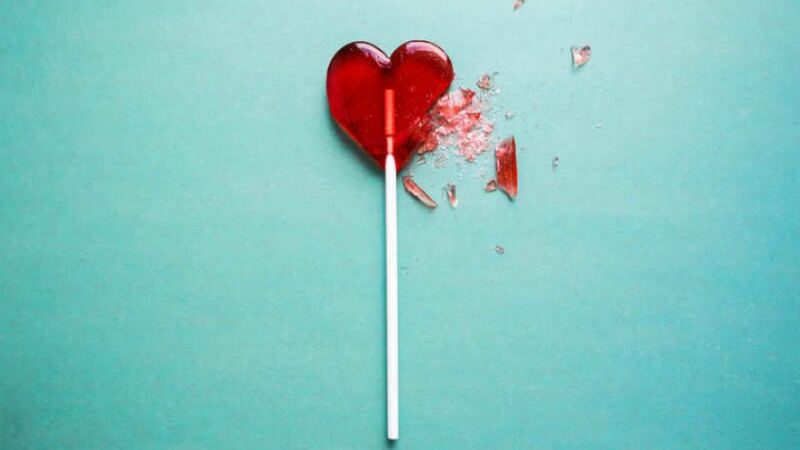 Losing a partner at a younger age can bring on bouts of extreme feelings of unworthiness, which can lead to self-hatred. 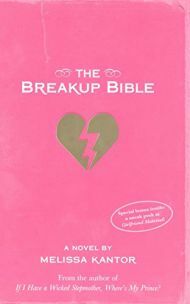 If you’re in the market for a book for a loved one who has lost a boyfriend or girlfriend, “The Breakup Bible” is the answer. Written by Melissa Kantor, it goes through the journey of Jen, a junior in high school, who is faced with her boyfriend Max not wanting to be with her anymore. Learning how she intends on dealing with facing him at school and seeing her friends after the breakup is rather eye-opening. Not only is it an interesting read, as you want to see how Jen deals with the breakup, but it’s also filled with a lot of advice. This is what makes it our favorite book for teens who seemingly don’t want to listen to their parents after losing their partner. At the end of the day, the best way to deal with heartbreak is to seek outside advice. Even if you’re not interested in talking to friends and family members, you can always rely on books. These novels and poems on this list are the perfect way to explore your deepest emotions to gather a better understanding. There’s no reason to dwell in your own pain without a little bit of extra help, allow these words of healing and assurance to assist you in finding your new path.